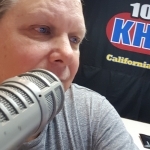 California Country 100.7 KHAY is proud to present KHAY FEST on April 20th, 2019 located at the Commemorative Air Force Museum in the Camarillo Airport. We can’t wait to bring you a day filled with California County music, dancing, food, beer, wine and much more! Thanks to our partners, this year is going to be better than ever! See you all April 20th! Click HERE now to purchase your tickets!